Gilliland would always remember the first time he was summoned to Kelly Johnson’s office. It was in early 1962, before he knew what he didn’t know. “We used to call it ‘Going behind the Iron Curtain,'” he recalled, an apt description dripping with a certain irony. The precursor to this seminal moment happened several days earlier while he was riding in Lou Schalk’s car. The son of an Iowa veterinarian, Schalk was an amiable West Point man, class of 1948, who had transferred to the newly independent Air Force and distinguished himself as both instructor and test pilot. He joined Lockheed in 1957 and was assigned to the Skunk Works, where he eventually became chief test pilot. Despite their close friendship, Gilliland did not know anything about the secret project he was testing. “I think you need to come over with us,” Schalk said. “What is it?” Bob shot back. He didn’t even know what to call it. The thought of flying the new bird excited him, but after Johnson made clear that he wanted Bob to join the project as a test pilot right away, Gilliland began explaining that he had been assigned to Italy and would be leaving soon. The F-104 was a big money maker for the company, and revenue equaled corporate power. 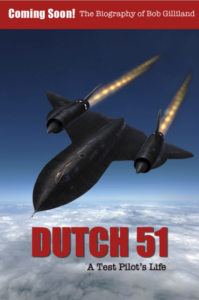 The Italians were paying Lockheed (and General Electric, which manufactured the engine) millions to produce the Starfighter, and the executives wanted Gilliland on site to make the deal work. The mysterious new plane would have to wait. Excerpted from DUTCH 51, Copyright 2017, Robert J. Gilliland. Robert J. “Bob” Gilliland is one of four 2017 inductees into the National Aviation Hall of Fame who will be honored at the 55th Annual NAHF Enshrinement & Ceremony on Saturday, October 28, 2017 at Fort Worth Alliance Airport in Fort Worth, Texas. 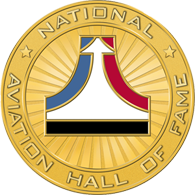 The Inductees in the NAHF Class of 2017 are; Major General Charles F. Bolden, Jr., USMC (Ret), four-time Shuttle astronaut and former NASA Administrator; the late Captain Scott Carpenter, USN, one of the original ‘Mercury 7’ astronauts and the second American to orbit the Earth; Robert J. Gilliland, pioneering super-sonic SR-71 program test pilot; and the late Sir Frank Whittle, the inventor of the revolutionary turbojet engine. 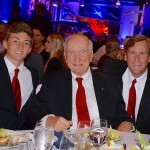 Read more about the Four Legends of Air and Space Selected to Serve as Presenters at 2017 National Aviation Hall of Fame Ceremony. 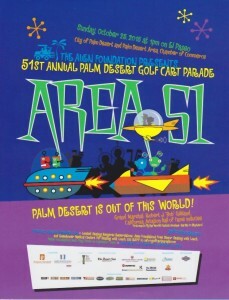 Experience the spectacular color, pageantry and fun as scores of whimsically decorated golf carts and bands march down Palm Desert’s famous shop-’til-you-drop El Paseo, in the first major event of the season! Robert J. 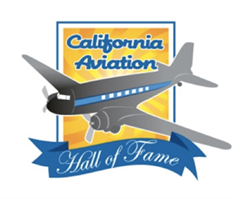 “Bob” Gilliland was recently inaugurated as one of four 2015 inductees into the California Aviation Hall of Fame. 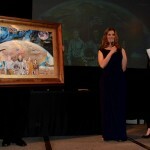 The honor was bestowed at the 2nd Annual Induction Ceremony and Dinner on April 25, 2015 at the Museum of Flying in Santa Monica, California. 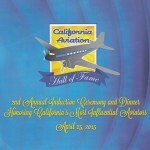 The California Aviation Hall of Fame was established and registered with the Secretary of State of California in 2010 as a subsidiary of the Museum of Flying with the mission to recognize, commemorate and educate the public on the most influential individuals that made a significant impact on the growth and development of the aviation and aerospace. At the event, the inductees received a medallion and a permanent exhibit case was unveiled featuring their awards, decorations, photos and personal memorabilia. 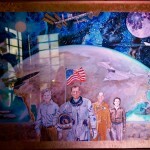 Other 2015 honorees are Iris Cummings Critchell, Lt. Col. Fitzhugh “Fitz” Fulton, Jr., and Burt Rutan. Well-known author and historian Keith Dunnavant is currently working on a biography about Robert J. “Bob” Gilliland. Dunnavant has penned five non-fiction books, founded a series of magazines, and produces documentary films. 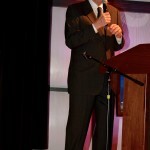 His journalism has spanned three genres including sports, business and general interest. The Gilliland biography is currently in production with an expected release date in 2016 or 2017. Robert J. “Bob” Gilliland was part of the panel for a special SR-71 Symposium, during the SR-71 Weekend at March Field Air Museum in Riverside, California. 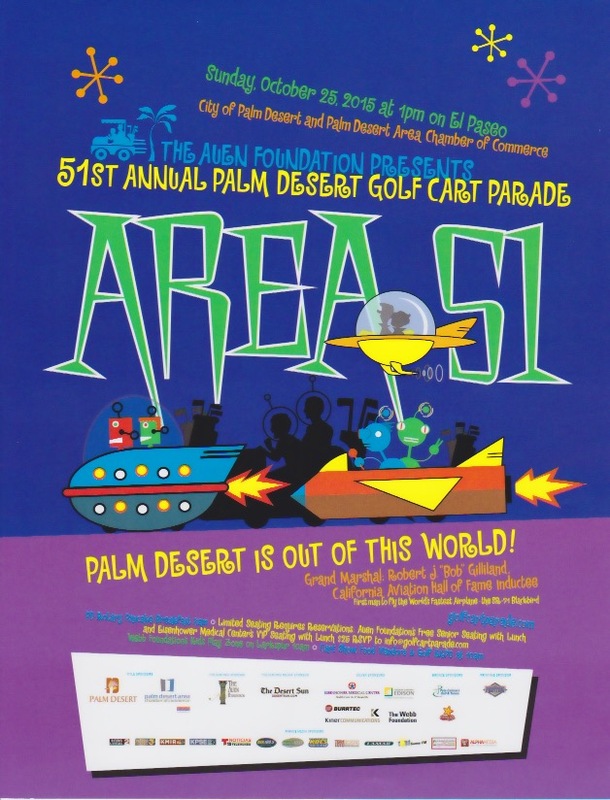 This successful event was held April 18-19 and attended by SR-71 crewmembers and their families, museum members and guests. Video of the symposium can be viewed here. Copyright © 2018 Robert Gilliland. All Rights Reserved.